Wow, I haven't done a post in here for a long time. So long in fact that I've just noticed Facebook has discontinued its “message all members” feature for groups (what a drag). However, I can still post this on the group wall, so there's fortunately still SOME way for Facebook people to interact with one another (I hope this interaction doesn't corrupt the PURITY of Facebook in any way). The big news for me is that I have a new book scheduled to be released on October 1st. However, this isn't a fantasy book, it's sort of a travel memoir about my days as a cross-country skier. You see, I'm from Northern Wisconsin, and in my neck of the woods there is a big ski race called the American Birkebeiner. This race is so big that it brings ski racers to Wisconsin from all over the world, and it was through this race that I developed my love of traveling. 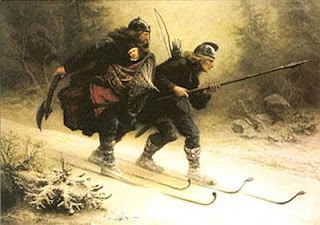 The one aspect of the Birkie that does relate to Heroic Fantasy is that the whole race commemorates a heroic moment in history when a pair of Viking warriors skied the infant King of Norway to safety from an assassination threat. 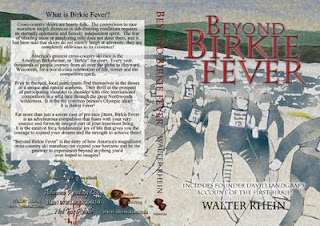 Anyway, my book is called “Beyond Birkie Fever” and it's currently on sale (40% off) at the Rhemalda bookstore (everything's on sale on their web page right now, so if you're a J.C. Chancellor fan...head over there). Other than that, let me get caught up on all the great interviews that Shells has been conducting over the last few months. 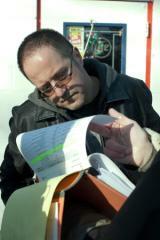 They're all listed below, read them and enjoy!